A ski is a long, flat device worn on the feet designed to help the wearer slide smoothly over snow. Originally intended as an aid to travel in snowy regions, they are now primarily used for recreational and sporting purposes. 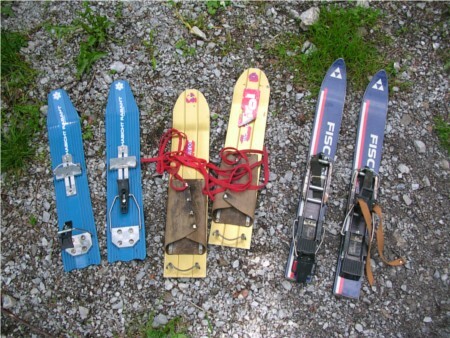 Skis are sometimes used in place of tires on vehicles intended to travel over snow.